Long gone for most sports facilities are the days of creeky wooden bleachers and the flip score board manned by rotating students. The basic requirements of most facilities have not changed much since the days of Roman amphitheaters and arenas; easy and safe access to the facility, a comfortable place to sit, and a good view of the game. Sports arenas of today need to offer these basic benefits but now have more options than ever to appease, entertain, and entice fans back to their facility. Gymnasium seating options are numerous. Classic wood is still an option for those seeking the traditional look. 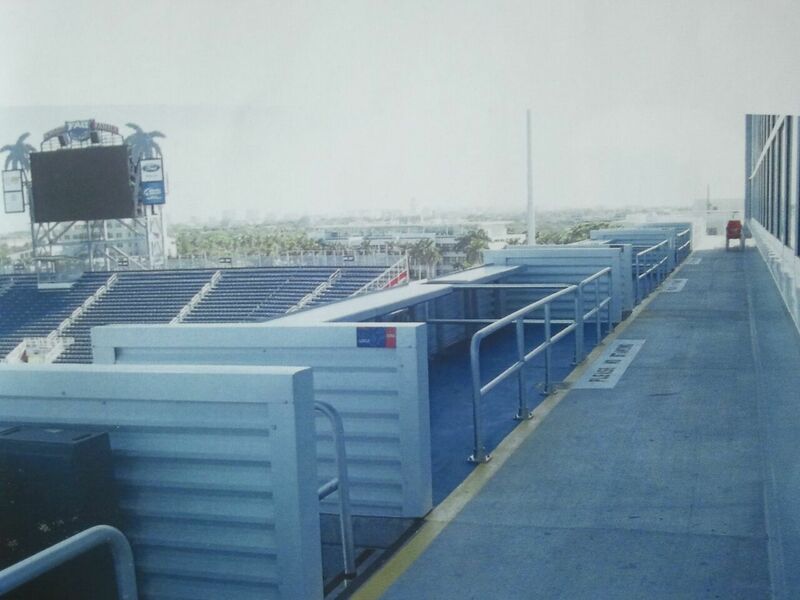 For a look that adds a huge visual boost to your facility, telescopic seating can utilize the bleacher system with bleachers opening in the forward direction and the option to display school lettering or team colors. Sculpture seat modules feature solid color seating which is high strength and fade resistant. These seats are available in 15 standard colors to sport team spirit. When seeking a way to honor special boosters or sponsors, consider the VIP wide deck platform with platform chairs when you need a highly functional system with comfortable chairs and wide rows to move around in. For the ultra modern arena cupholders, cushioned seats, and even the ability to order food from an electronic device right from your seat, are the newest in innovations for sports fanatics. Stadium seating has evolved in the outdoor arena also, with ergonomically-designed flip up seats and lumbar support now available. Wide selections of colors can be alternated and interspersed to visually sport team pride. 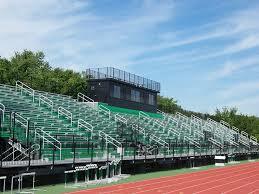 Sponsorship can now also be secured on stadium seating to honor special donors and designate specific seating areas. To find out what seating options are available for your sports facility, fill out the contact us spot on the website and a member of our team will get back with you to discuss your seating options.